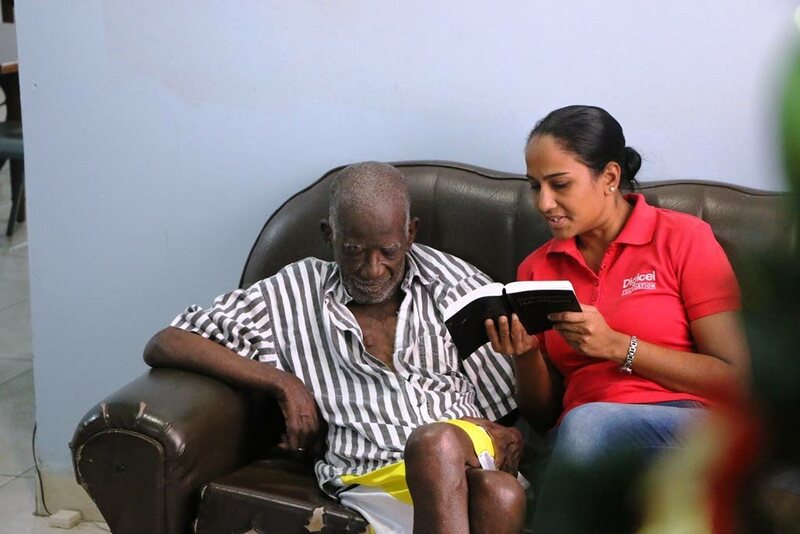 Digicel Foundation project coordinator, Diana Mathura-Hobson, right, reads a Psalm to this man. 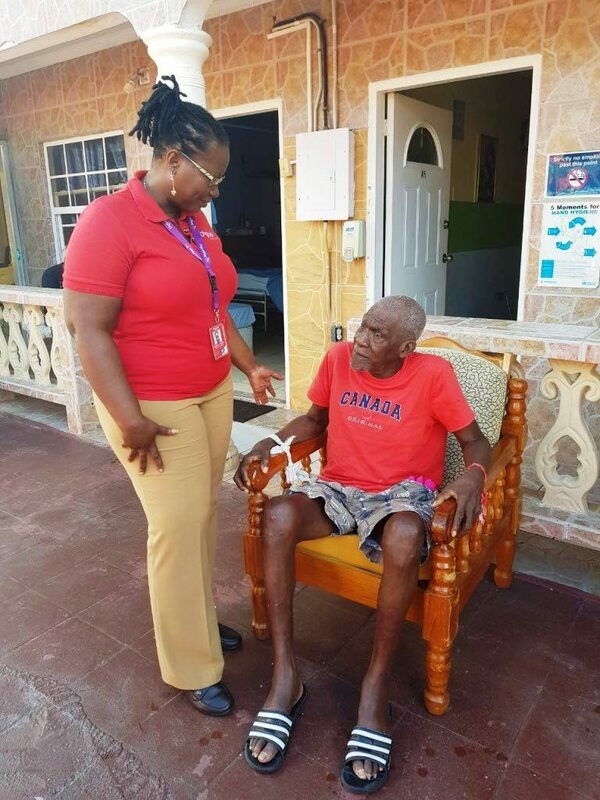 Two senior citizens homes were beneficiaries of some special Christmas treats, courtesy Digicel Foundation. The Digicel team in Trinidad visited the residents of Aging at Home, Sangre Grande, where they presented Desiree Alexander, administrator of the home with a gas cooker, among other items. Georgina Perterkin chats with Mr Young, the Peace of Mind home’s eldest person. The afternoon’s festive activities continued against a backdrop of sweet parang music, dancing and storytelling, a game of dominoes and light pampering for some of the residents. 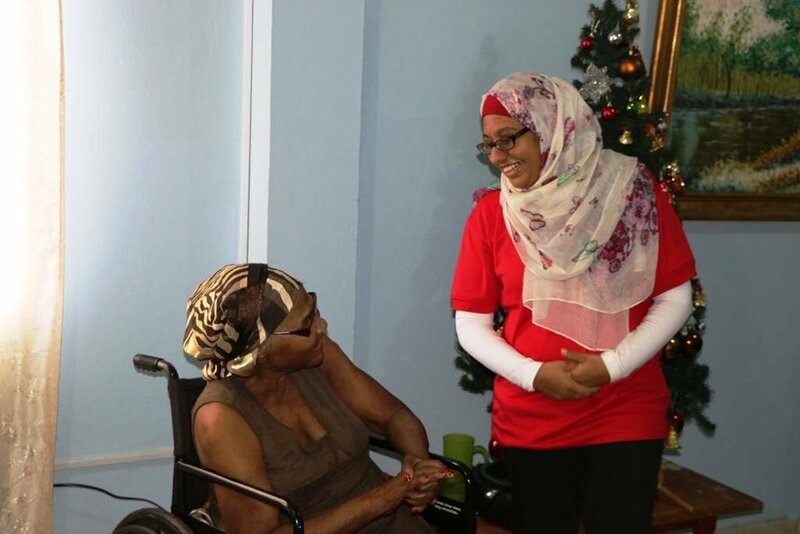 Rhea Hosein spends some time with this resident at the Aging at Home. Over in Tobago, a similar celebratory afternoon was spent at the Peace of Mind home in Tranquillity Heights, Signal Hill. There, the Digicel staff gave the home four fans and hampers filled with fruits and drinks. 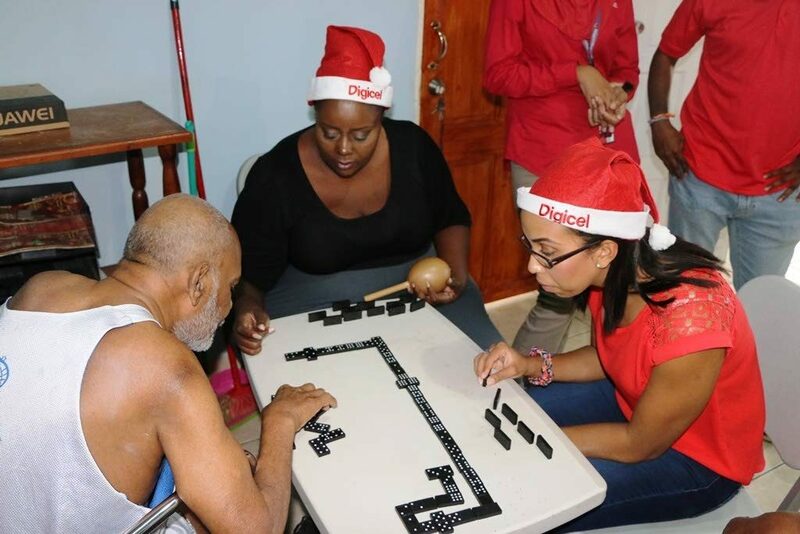 Members of the Digicel team play a game of Dominoes with a resident of the home. Their time was spent singing Christmas carols and bonding with the residents. Reply to "Digicel treats senior citizens"